User should read the Terms agreement (and Disclaimer) carefully before viewing this website/blog, purchasing advertising space or submitting a product for review. By viewing or using this site, the User agrees to be bound by this agreement. All information, content and services are provided "as is" without any kind of warranty. In no way shall Sweet Delight Online Magazine be held liable for any direct, indirect, incidental, special or consequential damages that may arise from the use of this site or any of the products, tips, advice, reviews, information or services obtained through this site. User agrees to indemnify, defend and hold harmless Sweet Delight Online Magazine from any kind of liability, loss, claim and expense, which includes attorney fees related to your violation of this agreement. User understands that Sweet Delight Online Magazine reserves the right to change, update or modify our TOS/Disclaimer and other website content at any time without prior notice. Your private/personal information is secure with us and will remain confidential. It will NEVER be sold or shared. All websites, products and services featured in this publication are the sole property and responsibility of the applicable owner(s). We do not take responsibility for any damages, loss or any misinformation that may involve the links provided in our online publication or the usage of any of the mentioned websites, products or services in our online publication. User is encouraged to direct any/all questions or concerns about a particular website, product or service to the applicable business/owner. 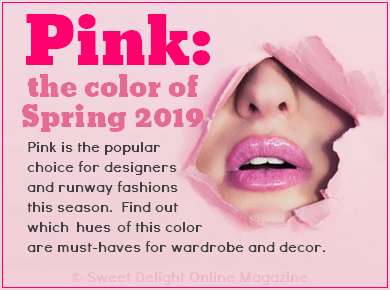 The editors at Sweet Delight Online Magazine do not claim to be fashion experts, medical experts, nutritionists, scientists, interior decorating specialists, gardeners, florists or any type of professional consultants. All information, tips, ideas and recipes in our online publication are provided without guarantee of accuracy and are not based on any scientific proof, unless stated. Our editors are entrepreneurs and regular people who love to decorate, shop and discover new, trendy items. This website/blog is meant to be lightly informational, inspirational and entertaining. All content and reviews are based strictly on our own findings, discoveries, testing, research, ideas and opinions. 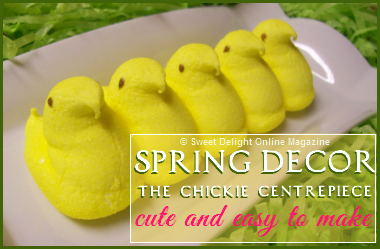 All opinions expressed are solely those of the editors of Sweet Delight Online Magazine. The features and reviews in Sweet Delight Online Magazine are in no way influenced by any sponsors, advertisers, PR firms, affiliates or payments of any kind, unless otherwise stated. We do not accept payment for reviews, unless otherwise stated. All paid advertisements or sponsorships will be clearly marked as such. Items chosen for review have either been given to our editors, discovered by our editors or purchased by our editors. All reviews or features are opinion-based only. Content and/or opinions are not meant to harm any group or individual. All information, resources and links have been included for general information and entertainment purposes only. We do not guarantee that the links provided or information gathered regarding pricing or services are current, as outside websites may change their pricing and product inventory at any time and all stores vary in pricing. All sale information, pricing information and product, website or service information is provided based on observations at the time of content gathering/collection. Sweet Delight Online Magazine reserves the right to refuse any sponsors or advertisers for any reason, at our own discretion. We do not accept, approve or endorse websites, products or services that are pornographic, racist, violent or in any way offensive or disrespectful. Sweet Delight Online Magazine reserves the right to refuse any items submitted for review for any reason, at our own discretion. Upon submitting an item for review with Sweet Delight Online Magazine, the sender agrees and accepts full responsibility for any and all shipping and duty costs. Sender acknowledges that all items submitted for review will become the property of Sweet Delight Online Magazine and will not be returned. Sweet Delight Online Magazine makes no guarantees that all products submitted will be reviewed or featured in our online publication or any of our affiliated services. We respect the copyright and intellectual property of others. Upon proper notice and proof of any unknown, unintentional copyright infringement on our part, we will remove any alleged content that may violate copyright law. 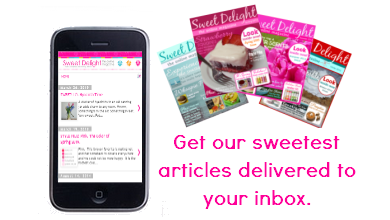 All editorial content is copyrighted and is the property of Sweet Delight Online Magazine, unless otherwise stated. 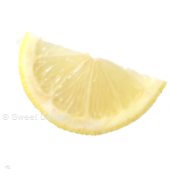 All graphics and pictures are copyright protected and have been created by Sweet Delight, unless otherwise stated. No part of this website may be reproduced in any form or by any means without the express written permission of Sweet Delight Online Magazine. Do not steal text, logo, images, original artwork, ideas, or any content from this website/blog. 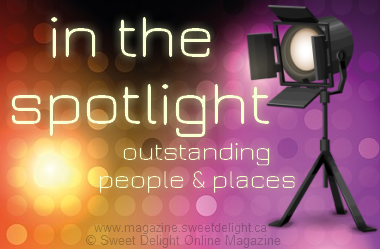 The Sweet Delight Online Magazine website in conjunction with the entirety of Sweet Delight.ca is protected by Canadian and International trademark and copyright laws.